Hector Dukelsky, an upper-class career officer, yearns to fight a righteous war instead of defending corporate interests on Banff, an isolated mining moon. That dream dies when his entire command is slaughtered while he’s away, leaving him alone in smouldering rubble with no chance to survive, let alone strike back at the enemy. Catt Sayer, a working-class fugitive from the law, earns a meagre income carrying supplies on a decrepit airship, but her hard-won life vanishes when invaders capture Banff. While searching for survivors, she rescues Hector and flies him to safety. But he doesn’t want safety. He wants her to risk her life on a hopeless journey to attack the enemy headquarters. Catt is sure Banff will kill them long before the enemy can … yet she agrees to Hector’s scheme, certain he’ll quit after experiencing one of the moon’s eruptions or ferocious storms. But he doesn’t quit, and slowly his noble dream—and his love—conquer her heart. She pits her life and love against Banff’s lethal environment, even though the only reward for success will be the opportunity to face ten thousand enemy warriors. 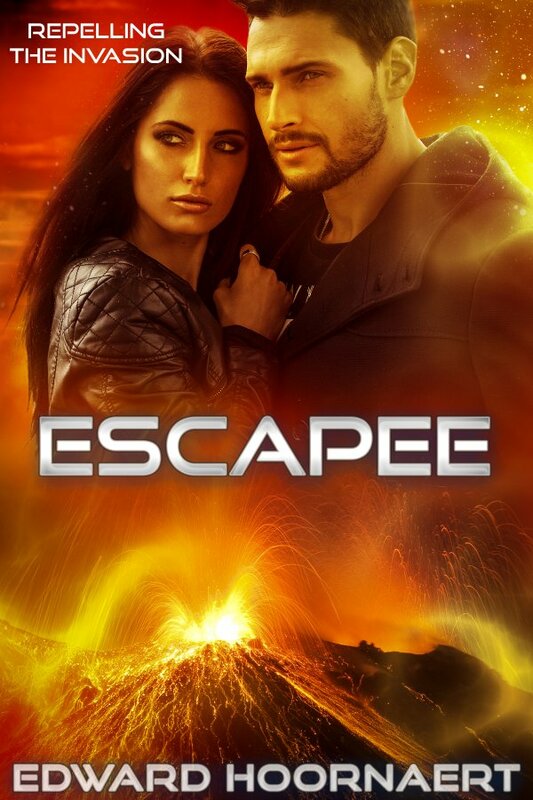 Escapee will be released on November 23 — the birthday of my oldest son, to whom the book is dedicated. Until then, it’s available for pre-sale. What does Effing think about skoots? Looking forward to this. When is the release? The book releases November 23. Scoots don’t sound very appealing but people do like strange pets. That’s pretty much what I want readers to think. By the end of the book, though, the skoot will have proven itself friendly, loyal, compassionate, and even heroic. Skoots – I remember them. They’re great. Skoots are an acquired taste — you have to learn to like them. I love this that she is afraid of the Scoot. I like how he acquired them. A fun read. My aim/ was to create a creature people are unlikely too love — but by the end of the book, they wish they could have a scoot of their own.